Italian police officers had to deal with an embarrassing incident caused by "unacceptable behavior" of two drunken British sailors. 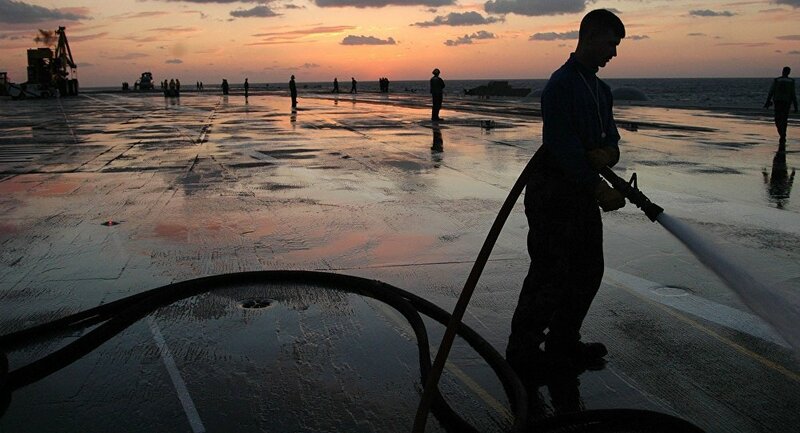 A pair of British Royal Navy servicemen landed themselves in "hot water" with Italian authorities after they urinated in public in the port of La Spezia, where their ship, HMS Diamond, had docked having completed maneuvers in the Mediterranean Sea. The sailors thought to be aged in their twenties — went ashore on leave shortly after the Type 45 destroyer docked in La Spezia, one of the most strategic and oldest naval bases in the country. According to witnesses, the sailors visited several bars before becoming involved in a ruckus with their loud singing and attempts to stop the busy traffic around the port's main square. As the police officers went over to investigate, one sailor reportedly decided to drop his trousers and urinate onto the road — while trying to reassure everybody he was okay. "Two British sailors were held after an incident in the city center and one — the urinator — was reported for resisting and offending a public official," a police spokesman in La Spezia said. 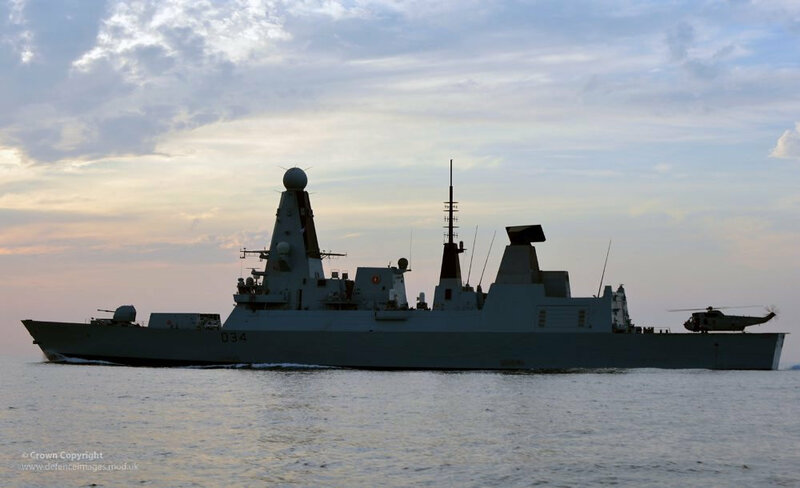 "We can confirm that the local police force in La Spezia escorted two sailors back on to HMS Diamond due to unacceptable behavior when ashore. No arrests were made, the sailor and the Commanding Officer have apologized and it would be inappropriate to comment further on the matter," said a Royal Navy spokesperson, confirming the incident. "They were signing and shouting really loudly and were in uniform and were trying to stop the traffic on the square. I think they must have been lost, but even though it was 2am, it was still busy and there were a lot of cars about — they were lucky they weren't knocked over," said a local bar owner, who witnessed the event. A Royal Navy Sea King helicopter lands on Type 45 destroyer HMS Diamond. He explained when the police arrived, one of them just dropped his trousers and started urinating in front of everyone. "He didn't seem too bothered about who saw him. He then tried to run away as the police approached him but they caught them both and they were taken back to the port where their ship was," the owner added. Located in the Liguria region, near Tuscany, the deepwater port was the brainchild of Napoleon Bonaparte, having been constructed in 1862.